Thanks for buying my book! 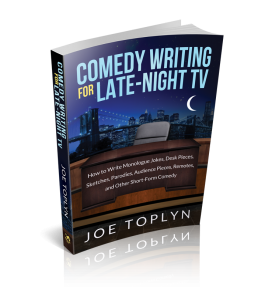 I felt a little awkward plugging it at the panel the way I did but I thought it might answer a lot of the attendees’ questions about late-night writing. I’m glad you like the video. I learned a lot from the other panelists myself! I’ll have to give Dean Lewis a big thanks. I appreciate your telling me about his support.